Harvest: June 30, 2008 by hand in Feng Huang near Dong Ding. 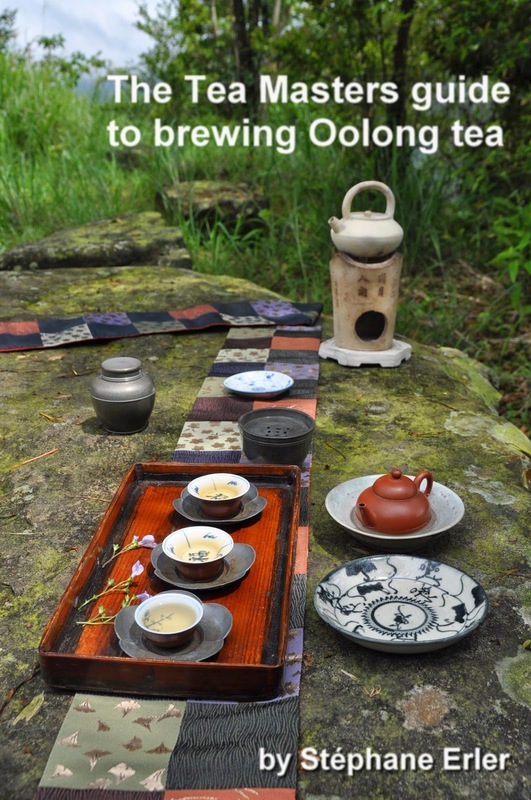 Concubine Oolong is similar to Oriental Beauty: it is a summer Oolong bitten by tea jassids and with a high oxidation (less than OB, though). The batch I selected this year is only lightly roasted. 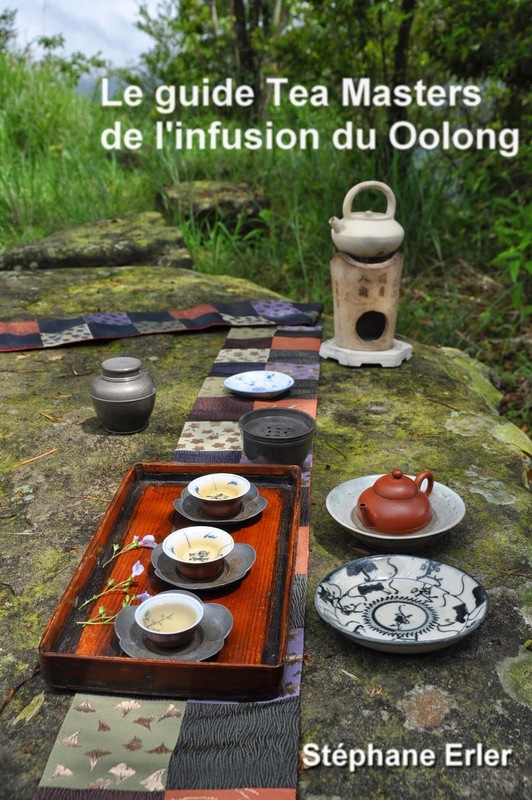 The result is a very smooth and fruity Dong Ding Oolong. 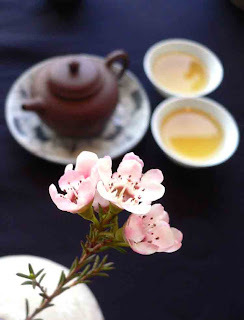 Its fruitiness is somehow similar to Feng Huang Dan Cong in fragrance, but very different in taste. The full body feeling, a characteristic of Dong Ding, is very much present in these leaves. The plantation's 'terroir' is very well expressed in this brew. 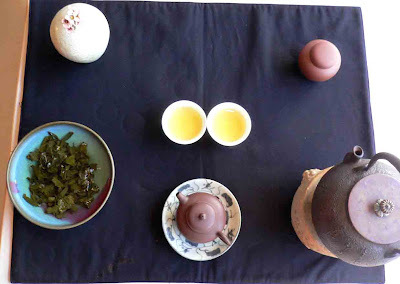 Here are more pictures of this tea. This time, I used the black side of my Cha Bu. It helps contrast with the light color of my prunus flowers.